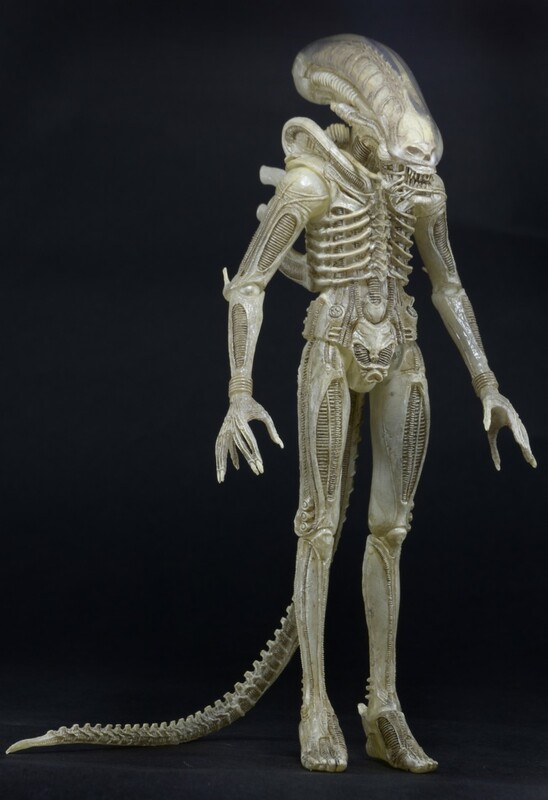 NECA is producing a limited edition 1/4 Scale Albino Alien was released in October 2016. 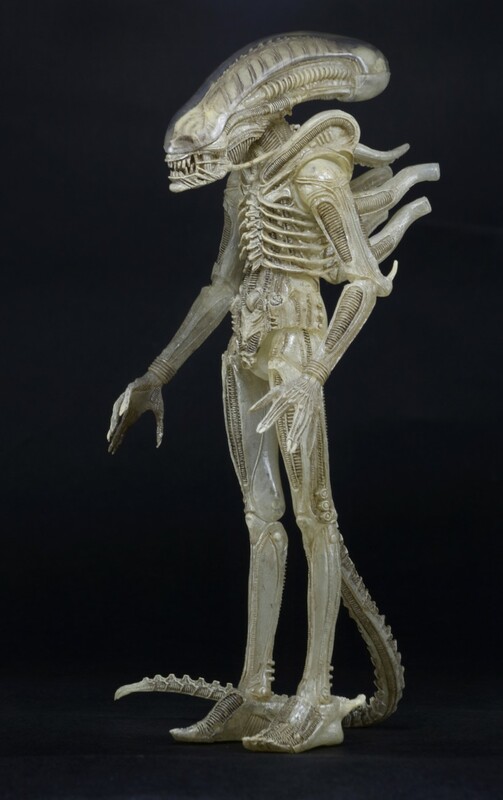 NECA previously released a 7″ version of the Albino as part of Aliens Series 7 earlier in 2016 but now comes a 22″ version. Designer H.R. 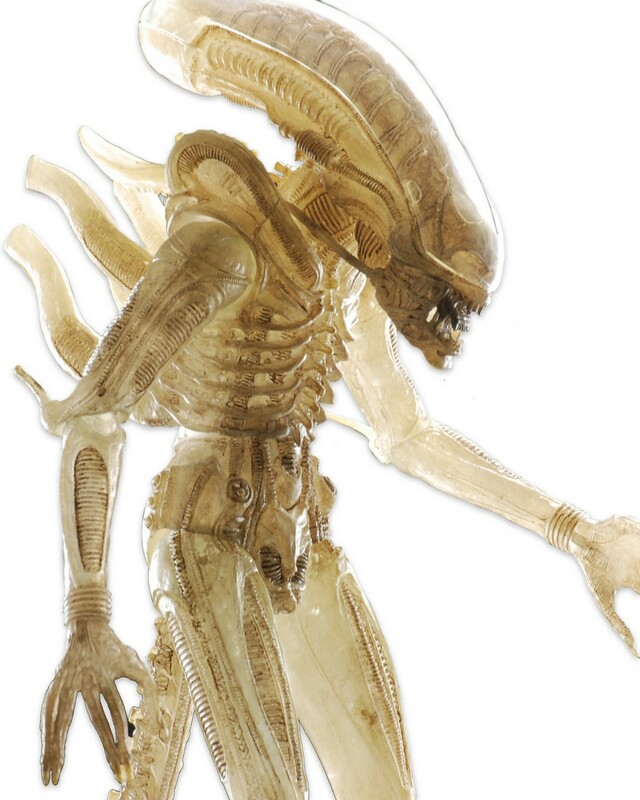 Giger originally designed the Xenomorph in Ridley Scott’s Alien as translucent but after difficulties, it was changed to the colour you see in the movie. 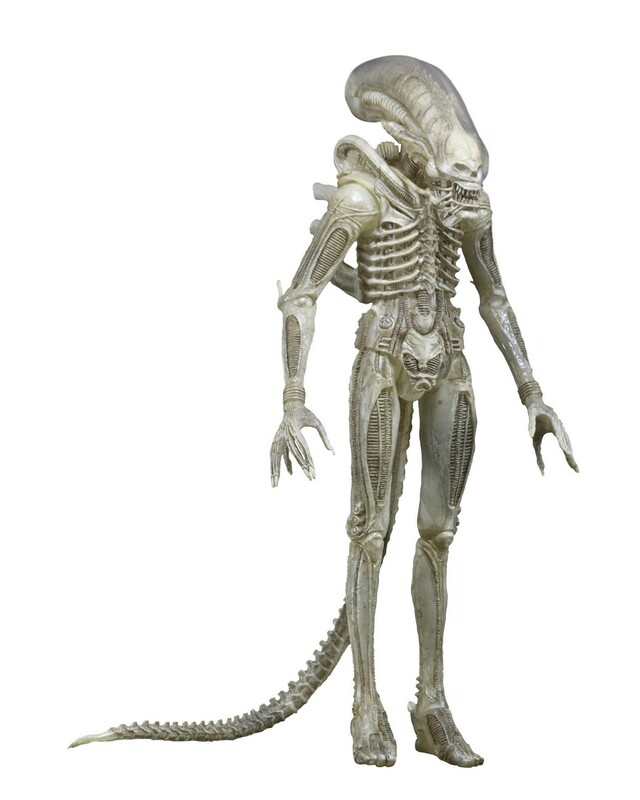 Due to popular demand, we’re bringing our first concept figure from Alien to the quarter-scale format! In the iconic 1979 horror movie, the skin of the Xenomorph was meant to be almost see-through. H.R. Giger originally had the suit cast in a translucent flesh-tone but, in one of the many technical hurdles that had to be overcome to bring his creature to life on screen, repeated difficulties with the material forced the change to the coloring seen in the movie. This incredible action figure stands over 22” tall, and has a hinged jaw that opens, revealing an inner mouth that extends for realistic movie action. 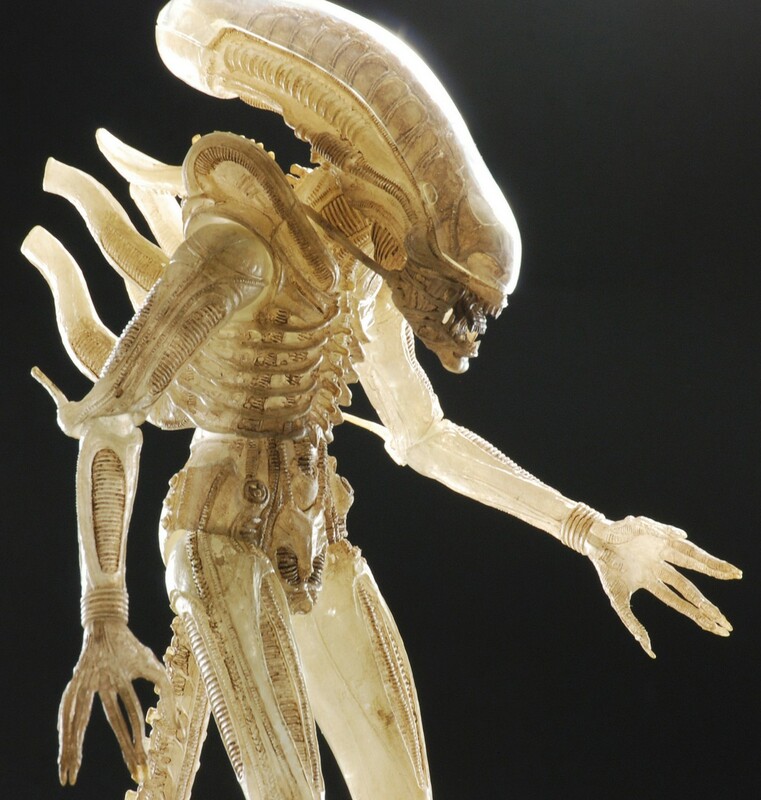 It has 25 points of articulation, including double knee joints and a bendable tail, and extra attention has been paid to all the eerie details that made Giger’s designs for Alien so mesmerizing.